Now I’ve always thought the name “Turducken” had a nice ring to it, but I resist the actuality of 3 creatures having to be sacrificed to make a single dinner for us. It seems somehow indecent. This evening, with visitors coming for dinner, I made a variation that is not nearly so brutal in its composition (though Vegans may beg to differ). 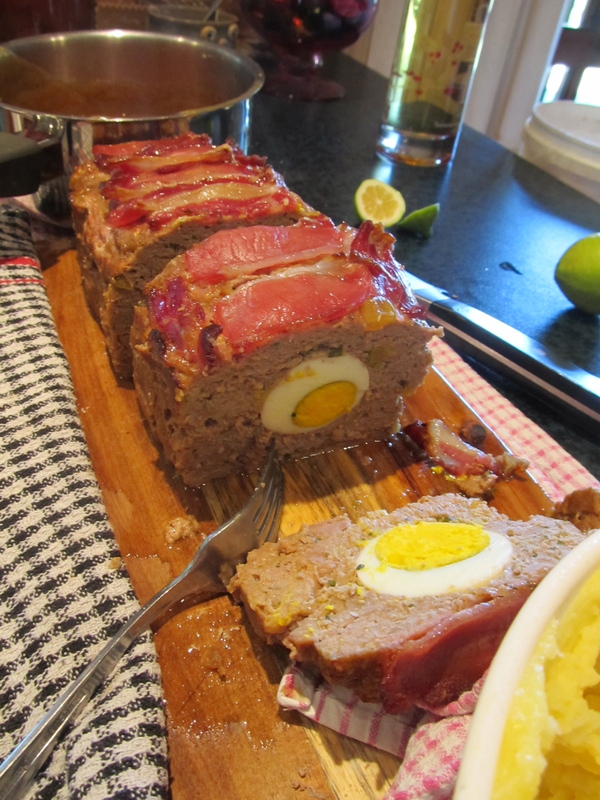 I’d bought some turkey mince at Christmas time, with a view to making forcemeat balls that never came to fruition. It’s been sitting in the freezer ever since. 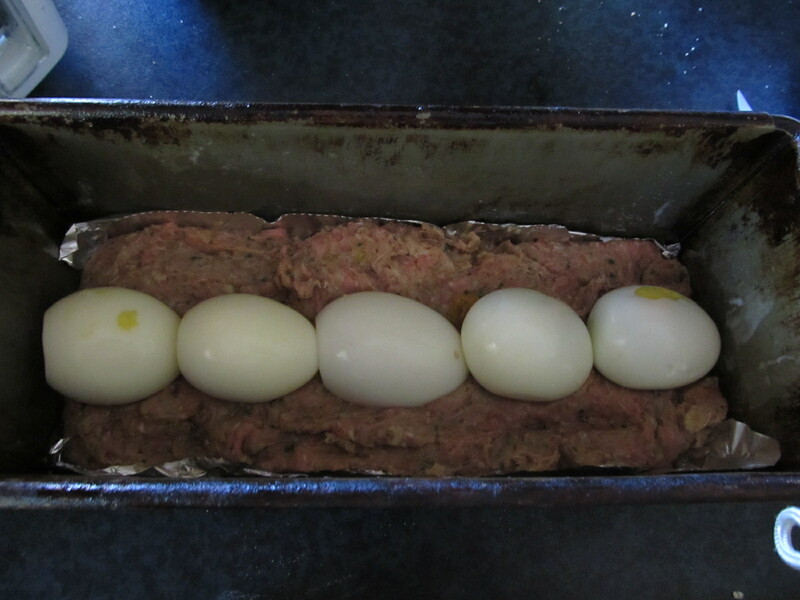 We have an abundance of chook and duck eggs here at the moment, so I hard-boiled half a dozen, shelled them, then placed them in the middle of the loaf before baking. Over the top I laid strips of (Tynwald) organic bacon, which actually makes it two types of farmyard beast (not our farmyard I hasten to add). Still (in this case the adulterated words of Meatloaf, which seems fitting), two out of four ain’t bad. It was pronounced delicious by the diners, so that’s a positive at least. Even Robert, the reluctant test taster liked it so much that he took photos and asked me to make it again soon. This is really something – he is worn out with his endless sampling chores each day poor man, and food holds little culinary interest for him. (That’s ok though, he makes really good beer).